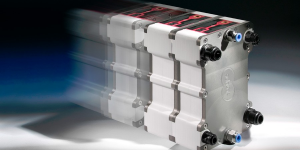 Linde is supplying a new so-called cyro pump to Californian H2 infrastructure operator True Zero. 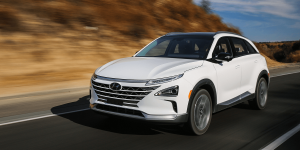 The technology will form the core of hydrogen fuel stations, and enable them to double their current capacity. 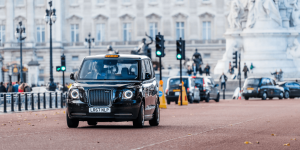 One of China’s largest carmakers, Great Wall Motors (GWM), has announced an investment in H2 Mobility. 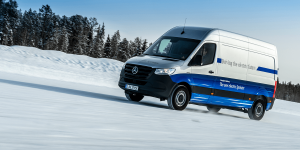 The consortium that is backed by Daimler, Total or Shell, aims to install a network of hydrogen filling stations across Germany so Great Wall’s engagement comes as a bit of a surprise at first. 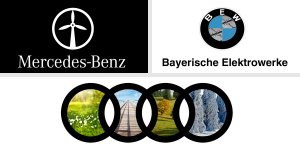 The council founded on January 2017 in Davos has added another 14 new members, making for a grand total of 53 corporations that have joined the hydrogen initiative. 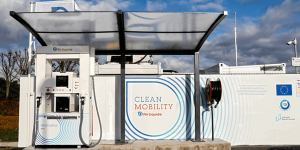 Air Liquide and China’s STNE teamed up to accelerate hydrogen-powered trucks in China. 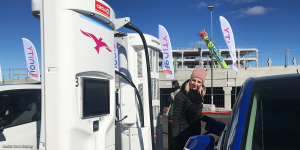 Air Liquide invested 10M euros in the startup that operates a fleet and platform and Air Liquide will openly share their know-how for STNE to scale up. 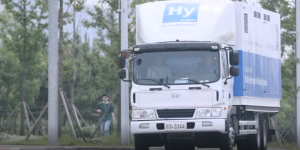 This is a new approach to refilling fuel cell electric vehicles coming from Korea’s Hylium Industries, They developed a mobile refueling station carrying liquid hydrogen rather than the gaseous and explosive form. 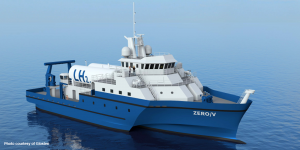 A team led by Sandia National Laboratories, usually charged with nuclear security in the USA, has found a zero emission vessel running on hydrogen feasible. Their study developed a fuel-cell coastal research vessel consistent with marine regulations. 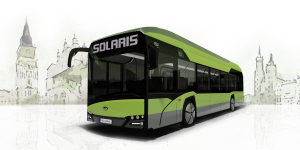 Poland’s prolific busmaker Solaris will present their first hydrogen bus next year. The fuel cell electric vehicle is based on their Urbino series but with a longer range of up to 350 km on one fill. 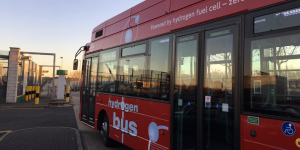 A traction battery is to support the bus at peak times. 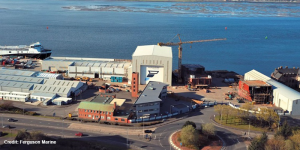 Scotland’s Ferguson Shipbuilders have managed to secure funding through the EU project HySeas III. 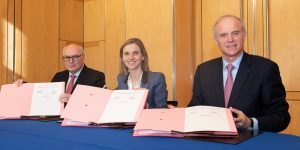 With partners such as the Ballard or DLR and from different European countries they will build the world’s first sea going ferry running on fuel cells powered by hydrogen from renewables. 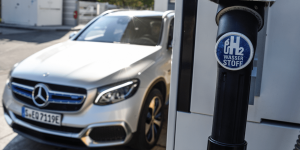 The alliance of Daimler, Ford and Renault-Nissan working on commercialising a fuel cell car has hit a road block as Renault-Nissan pull out. 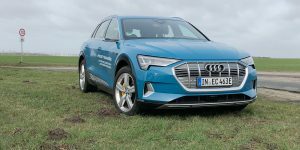 The partners had aimed to develop shared components but now decided to focus on electric cars first. 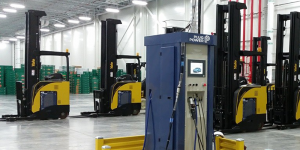 U.S. American Plug Power has teamed up with Linde Material Handling to advance the use of fuel cells in manufacturing operations in Europe. 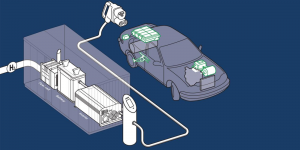 Linde already offers a range of vehicles, which Plug Power deems “fuel cell ready” and waiting to house their stacks. 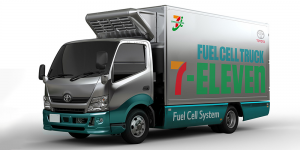 The basic agreement to use hydrogen and fuel cell transport to power convenience stores in Japan more sustainable had been made already last year. 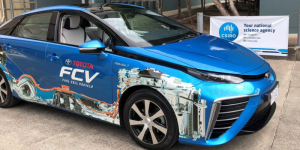 Now Toyota and Seven-Eleven agreed on a more detailed plan and schedule to launch fuel cell trucks and renewable energy storage systems. 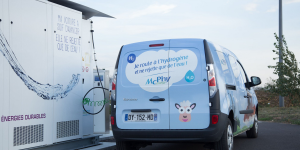 Energy giant Electricité de France (EDF) becomes the largest shareholder of McPhy as the French invest 16 million euros into the hydrogen specialist. 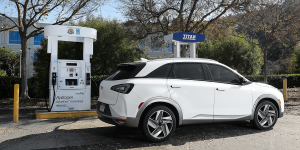 McPhy wants to use the money to expand globally with its hydrogen solutions. 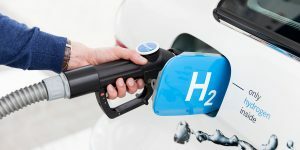 Minister of Environment, Nicolas Hulot, has a new strategy as he aims for France to draw heavily on hydrogen and fuel cell technology. The plan includes all levels of the country’s economy and details a turn in transport through FCVs and infrastructure. Italian design studio Icona has brought a concept electric car to Geneva. 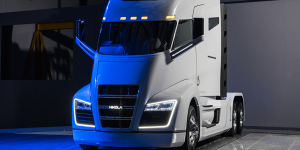 The Nucleus is ready to drive itself and up to six passengers. 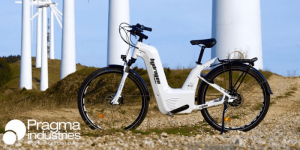 4 electric motors from Elaphe are powered by a 300 kilo battery made my Bolloré supported by a hydrogen range extender. 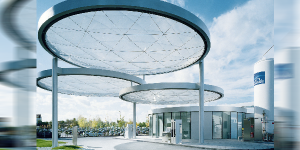 According to information from TÜV Süd, Germany had the largest growth in hydrogen fuelling stations in the world last year. 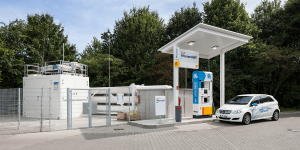 A total of 24 public fueling stations were installed in Germany, while the global market managed to construct a total of 64. 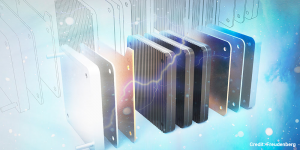 British Element Energy will take the lead in the cooperation project called JIVE 2, which aims at bringing further 152 fuel cell buses to 14 cities in Germany, France, Norway, Sweden, the Netherlands, Great Britain and Iceland. 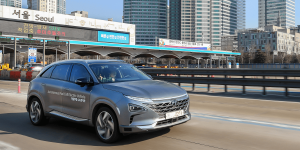 Nexo is the second generation of Hyundai’s fuel cell SUV and has been recently presented together with its technical specs. Now, information about the pricing is available, too. 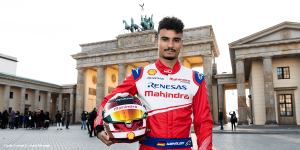 Thus, the model will be slightly less expensive than its predecessor, the ix35 Fuel Cell for 65,000 euros.